Elite sea angler Jack Reynolds of Worlebury took the short trip to the Weston beach for the Weston-super-Mare Sea Angling Association (WsMSAA), Spring Open match. The 11-year-old won the longest fish in his zone, with a flounder, coming away with a cash prize of One hundred and fifty pounds. Quite an achievement considering the adult anglers that he was up against. Jack was using a Ziplex Match Pro sea fishing rod with an Infinity 8000 reel. The reel was sponsored by Michael Busby of Weston-super-Mare. Earlier in the day Jack had dug his own lug worm bait to use in the competition. In the past few weeks he has been joint first in a senior mid-week match at Sand Bay and at Easter he won the junior match at Weston. Both of these events were organised by WsMSAA. He is already the holder of the Avery Boyce Memorial Trophy and the Juniors Annual Festival Cup. These trophies were won at the Weymouth Angling Society and Weymouth & Portland Borough Council Sea Angling Festivals. 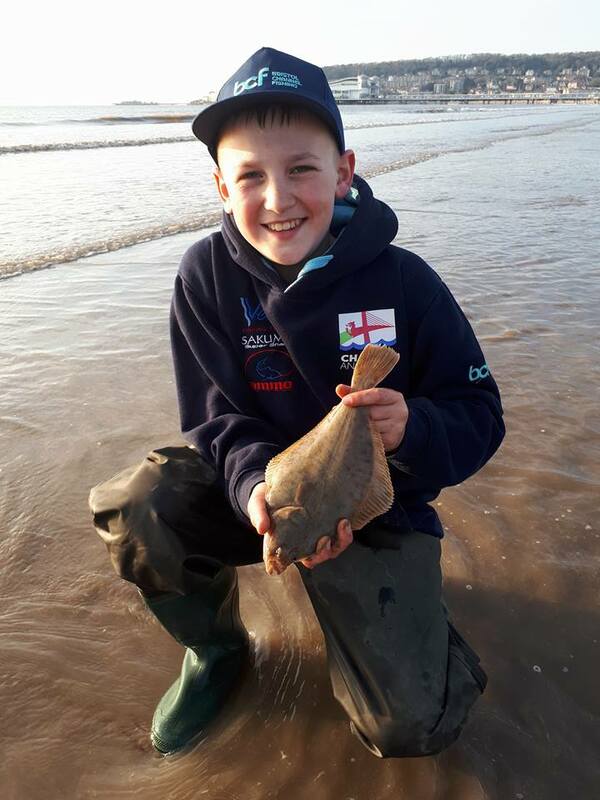 He is a Year 7 pupil at Worle Community School in Weston-super-Mare and a member of Bristol Channel Fishing – Supporting Angling Communities, where he takes part in match fishing for Channel Anglers. Jack is sponsored by both Veals Fishing Tackle, Bristol and Baytree Road Garage, Weston-super-Mare.